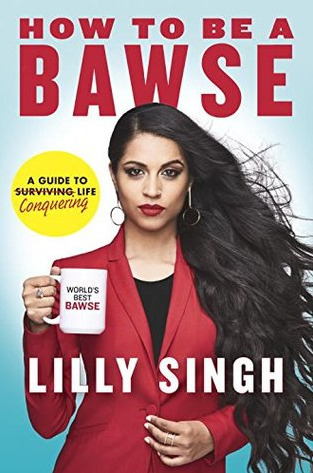 Summary – Lilly Singh’s How To Be A Bawse is as much an honest representation of the star as it is a well guided recipe to cure oneself of the blues. Her words of wisdom, courage and understanding fill us to the brim with the zeal needed to pick ourselves up and keep going. Split into 50 chapters and other sections, this book takes us on a journey of revelation as to how she rose to power and popularity – none of which came easy. As consumers of media, our perception of celebrities can be deficient if not entirely skewed. Lilly opens our eyes to the gritty truth of it all. Through the course of this book, she sets us on the path towards becoming change-makers, influencers and sculptors of a better world. Glossy pages, bouncy colors and a great sense of humor make this tome much superior in comparison to other self-help books. If you wish to conquer every aspect of your life, you’ll find a whole lot of inspiration and motivation here. Review – Ever since I discovered her YouTube channel, I have been devouring any content that she put forth. So it was but natural that I would get a copy of her book for myself. At first glance, this book appears to have been manufactured by Skittles. No, really. There are four sections, each of which are done in a particular color. Within each of these chapters contained in these sections, there are page length photos of her as well as quote prints, and chapter-end tasks. This makes it a delightful reading experience because you’re able to apply the lessons to your life actively. Her undeniable sass and wit, which we are familiar with through her videos, translates perfectly into the narration. The writing style is colloquial, emphatic and humorous. What makes this book endearing is the inclusion of personal anecdotes in plenty. In fact those were my favourite parts! I’m super lazy and I procrastinate a great deal. Reading this book has made me less of that person. And every chapter I re-read chisels away a bit more of the lethargy. The content is so inspiring, that I no longer think of my role in this world as a minuscule one. I know for a fact that I, too, can bring about a great change. Recurring themes of this book include positivity, self-control, hustling, being grounded etc. Some of her guidance overlaps across chapters, so occasionally you find yourself reading the same thing again. But that’s actually quite necessary to drive home the point. People are familiar with iiSuperwomanii who has done great deeds, but only few know of her insecurities and concerns. It is very evident that she has poured her heart and soul into this book, to encourage other’s to not give up on themselves. The chapters speak to people suffering from lack of self-esteem, depression, despondence and heartbreak. The lessons she has learned on her journey would be useful to anyone, regardless of their stature. That being said, I didn’t agree with some points in the book. But to each their own. I would absolutely recommend How To Be A Bawse to every one. I’m going to re-read this book again and again in the future. Lilly, you’re a gift to humanity. What do you get out of it? Unicorn kisses. Haha, just kidding! HTBAB has a feel-good factor in it that convinces you of your greater potential in life. It makes you want to dream big and then act on it. And it shows you exactly how to do it. I received this book from Smith Publicity in exchange for an honest review. Thank you. 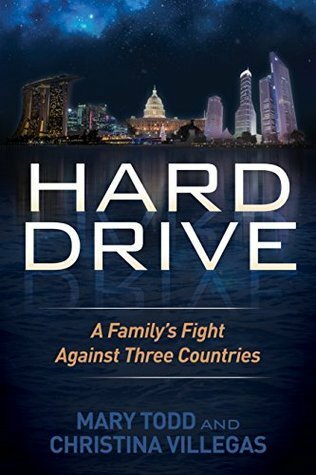 Hard Drive is a heart rending narration of a family’s fight to unveil the truth behind the death of a loved one. Shane Toddman, an American engineer was found dead in his Singapore apartment on June 24, 2012. The Singapore Police Force were quick to conclude that his death was undoubtedly a suicide resulting from days of depression and anxiety. When his family arrived in Singapore, they found it dubious that Shane, who until yesterday was more than a happy to be returning home and highly optimistic in nature would ever think of taking his own life. With that thought in mind, Mary and Rick Todd, his parents, begin the tiresome journey of seeking justice for their beloved son. But justice in a foreign country is as fragile as a frozen lake. Particularly with large influential forces teaming up to disguise the truth and their cruelty. When the police, judicial system and their own countrymen desert the fight, the entire family is distraught with the superficiality of mankind. In a battle that brings forth clear evidence suggesting another conclusion, the Todd family will strive their best to reveal to the world, the actual culprits. I was so happy to receive this book. But at many points throughout, it was a rather tear inducing task to keep reading despite the anguish and pain clearly etched out in Mary Todd’s and Christina Villegas’ words. 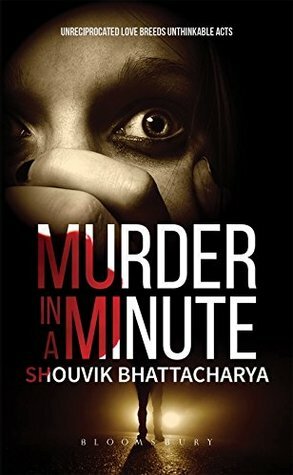 Unlike any murder mystery I’ve ever read, this book takes the trophy. Not only because it isn’t fictitious but the extreme efforts put in by friends and family of Shane Truman Todd is so evident in the notes, website links, newspaper article references that have been included. It is well written and gives us readers a thorough understanding of what the Todd family were made to feel in their quest for truth. It is impressing and inspiring to know that there are families who persist regardless of the power they are going against. Reading the authors’ description of Shane, it would have been rather astounding if the truth behind his death were not revealed to the world. Whether it has been legally concluded or not is a different story. To have millions of people know the truth and have them fight alongside the family, would have been an immense source of strength though the difficult feat. The novel covers in a matter of 17 chapters, all the evidence that was accumulated by the family (even though gathering evidence is the job of the police force). I am ashamed to think that there are still institutions and people being controlled by money and status; who willingly turn a blind eye to justice for their personal gain. The book cover is made of a soft velvety material. Also at the end of the book, the authors have put in few photos of Shane through his life, which was so saddening to see. To know of such a story in depth makes one realize how petty mankind has become. I salute the family for being so strong and persevering when many would not have. We all can gain a lot out of reading this book and I recommend it to each and everyone out there. Grab it, devour it and spread word. Pray for those who aren’t able to speak out in such loud volumes. 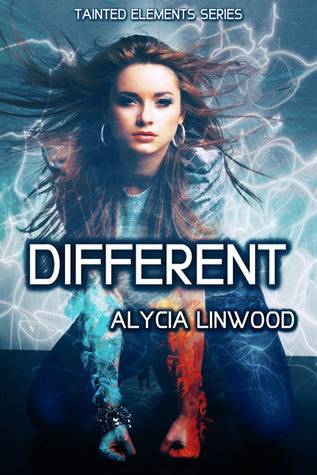 Different by Alycia Linwood is a fantasy novel about Moira, a teenage elemental who has an affinity for air. As a newbie elemental, she is only learning the tricks and trades of manipulating air to her liking. In a place where pure, healthy elementals possess the ability to master one strong element (either air, water, fire or earth) and some elementals have only a sub-element, Moira is shocked by the sudden emergence of another element in her power. Surely, its not possible to have more than one element? For such an occurrence is unheard of. Bewildered by this new found ability, her scientist mother and magic disease carrier father plan a vacation on an island, in the hopes that they would seek answers for this bizarre happening. On the island, Moira comes to know that there are others like her, who possess the skill and power to control more than one element. Relieved and yet curious, she begins to train with these elementals. It’s there that she uncovers a whole world of truth, to which she and her parents were oblivious. Truth that alters everything she knew about herself and the world she lived in. Truth that can very much lead to the kind of danger her parents wanted to protect her from. Governmental organizations; the dangers of mastering more than one element; a secretive team leader (Jaiden) who is never fully open with Moira are just some of the things she has to deal with. And hopefully in time to protect her kidnapped parents. This story had immense potential from the very beginning. I feel some of it got lost in the protagonist’s tendency to overthink and her occasional naivety. This book with its superb storyline could have been read in a day but I took three days to get it done (Moira is stubborn and well her deductions, a little annoying). I loved the whole concept of elementals and magic disease. Most of it is unheard of. Atleast I haven’t read any book that talks about genetic manipulation of elemental genes or islands where magic disease carriers go to stay. So thumbs for that. Another thing that got to me was that I was confused with the first 2-3 chapters because there were some loose ends that didn’t connect so I couldn’t process what was going on. But later on, it picked up and became more interesting. So I suggest you get past the first few chapters and don’t give up. The ending was brilliant! Never did I ever have even a tiny inclination to what would happen at the end. Another thing I really liked about this book was that, for a change, there wasn’t much (or any) romance in it. No love triangles, no jealous exes trying to get in Moira’s way. It’s a nice read if you can ignore Moira’s constant babble. I’m most definitely looking forward to the next book. We all have a fatal flaw that refuses to go away no matter how hard we persevere. Maybe it is the one bad quality that is programmed into us by fate. I have a tendency to over think… a lot. There are times when more than my mistakes, it is my thought process that torments me. That was one of the more difficult emotions to deal with but lately I find it easier to remain calm. You are depriving others from it too. To move on and feel peace. “The bond of family blesses us with an immeasurable power. But we also must accept what comes with it. It gives us a responsibility to love without condition, without apology. We can never waver from the power of that bond, even when it is tested. The bond nourishes us, gives us strength. Without that power, we are nothing.” – Elijah Mikaelson, The Originals. The love among members of a family is one you can’t replicate, no matter how high your stature. Pretend all you might, but deep down lurks all that insecurity and dread you banished when you cast aside your family. No one is born perfect. But through the course of our life, we are perfected by our family. To mould us into our potential being. To reprimand us when we’re wrong. A family is an army that isn’t commissioned. It’s an army that doesn’t need arms and ammunitions to battle but the mere magnificence of what a family can offer – love, protection, bliss, sense of belonging and all other immaterial riches. Wealth is at the mercy of time. As time goes by, no matter how wealthy you are, either you spend all of it or lose possession of it. Unlike those people, with whom you share very close relations. They are not going anywhere. Deal with it! They are going to annoy the crap outta you for the rest of eternity 😀 And they are going to be the most precious things in your treasure chest. You may be born into one family, you may marry into another family. But what makes you a part of this united whole, is the willingness to cooperate and adjust. You bring yourself to care and soon life without each and every member of the family becomes a nagging pain. They say we have no choice while selecting our family. But more than often, a family is not just about blood ties. Sometimes people who have nothing in common (not even DNA) stick out for each other, as family. A family consists of those people who’d not even blink an eye before handing their lives over to you, if the need arises. A family is one that lets no third person dictate terms. A true family is a symbol of permanence in life. Regardless of what changes may occur, life being as unpredictable as it is, a family is drawn together by a common thread of purpose – to look out for each other. Family always comes first. Always & Forever. From what I’ve seen, it always starts with something small, something very insignificant. You don’t give it too much thought and it becomes easy to brush aside. An argument that took a turn for the worse. A grave mistake. Nothing like hot temper to take it up a notch. Nothing like frustration, to lash out at an innocent. Once said, words cannot be taken back. Similarly, once done, actions cannot be revoked. In that intense moment of uncontrollable anger, you raise your hand, slam down your fist at whatever or whoever maybe in the vicinity. Not caring, not considering. Later you lament and you apologize. If you are a usually soft person, the guilt starts to eat you up from the inside. Part by part, it consumes you. Like a raging wolf, it rips you apart. You lie around, unable to do anything or feel anything except the numb sensation of grief overpowering you. Now, you’d do anything to rewind and start over again.